I’ve been parenting a teen boy now for a year and it’s been quite interesting. It’s often a challenge because the struggles seem to make no logical sense. However, it isn’t all bad. During the calm hormonal spells, we are able to have provocative discussions and have a friendly relationship. However when the tide is high, I’m the enemy and all bets are off. I tried to explain to my younger son why his teen brother behaves the way he does by comparing it to Bruce Banner and the Hulk. I told him that when his teen hormones kick in, he can turn into a rage monster and even he can’t control it. That helped a little with the sibling issues it was creating. It also helped me to accept some of the crazy arguments we were having, such as why he needs a coat in sub-freezing weather or why sweats aren’t appropriate party wear. It’s very hard not to take the fights personally when you feel you’ve been the most loving and understanding parent you could be. But, you have to step back and realize it’s all part of growing and testing their boundaries. They want to be independent but still want to be catered to when it suits them. That makes me crazy since Mr. Know-it-all should certainly be able to remember his chores or give himself a snack. However, that is not what happens. It’s a constant tug-of-war between the things I feel he is mature enough to handle and the things he feels he is mature enough to handle. I want to equip him with life skills and the ability to take responsibility but I also know he’s still a child and needs more guidance than he realizes. Though these years often leave me missing and romanticizing the sleepless baby and toddler years, it’s not all bad. Though I can’t completely control my teen or drag him around in a stroller to where I want to go, I’m finding new ways to compromise with him. Now, I have to reason with him and maybe bargain about going to a store he likes if he comes to the mall with me. We’re in a new frontier. As much as the love and trust we gave in the early years was critical, this new ability to communicate and compromise will build an important foundation. This will help define our relationship as adults one day. No pressure! I’m nervously laughing to myself as I write because this is all still a work in progress for me and I could very well fail. But, I think it will be okay. When he’s not in a defiant mood swing, he will cuddle with me and watch movies or ask for a favorite food. We will laugh together at our silliness or he will help his brother with homework. I will hear from his teachers how he is such a wonderful and thoughtful kid. He will open up to me about his thoughts on politics – within the family or the world. He teaches me to throw a football and tries to control his laughter when I can’t get a spin on it. These things give me hope that my wonderful child hasn’t changed but is just going through some growing pains. Though these pains are painful for me as well, these too shall pass. I’ve been asked why I haven’t blogged in so long…well, my brain is clogged by this election. It’s been so stressful and contentious and it has been hard not to be distracted by all that. I mean I carry on with life and the things I need to do for family, home and work. However, my blog is an outlet for my thoughts and interests. It’s a random conversation about whatever happens to be going on in my mind. These days…my mind has been cluttered with fear of the future and shock at the things going on in this election. The nation is so divided and both sides seem strong in their convictions. I’m pretty openly a Hillary Clinton supporter and have always been a Democrat. However, I’ve never been terrified of seeing the Republican candidate win until now. It was just a matter of not agreeing with all the policy ideas but I still had respect for the candidates (except maybe the Palin part). This time I am not happy about the proposed policies, or the lack thereof, but I am more worried about this volatile and hateful candidate who always thinks he is right. Trump is a very inexperienced candidate but maybe if he showed he was a team player he wouldn’t be as scary. Instead he is narcissistic and vows revenge on anyone who doesn’t agree with him. Our government is a 3 branch system which means they need to work together and seek compromise. He also scares me with his racism and outright disrespect of women. The unfortunate part is that almost half the country seems to be able to ignore all that. Maybe people just want a change and they don’t think his hatred of minority groups is such a big deal. There are many who have their own prejudices and this is just what they wanted. While others are choosing to believe that it’s not as bad as the media is making it seem. How convenient! Maybe the civil rights he wants to stomp on don’t affect you right now so you can turn a blind eye, but it’s a slippery slope. You may be included in the targeted group down the road and then it will be too late to complain. Why is that when you’re feeling down, things often seem to get worse. I’ve been there before and also heard from many friends when they seem to be having a spree of really bad luck. Lately, I started to notice a pattern to all this misery. When you’re exhausted, or depressed, or in pain, you are prone to make more mistakes, get hurt or react badly. It’s the worst time for more grief since you’re already feeling bad, but that’s when things tend to spiral downward. My mom always tells me that positive attitudes yield positive results (though she uses a lot more words to explain that). I listen but sometimes get annoyed at the over-simplification since you don’t want your pain dismissed when you’re going through a difficult situation. However, I think I get it now on a different level. It isn’t just about always believing in the best results, it’s about being in a positive and healthy state of mind. Bad things will still happen sometimes even if you try to think they won’t. But, they will happen more if you’re jittery because you haven’t slept or distracted because you’re sad or you overreact because you’re in pain, etc. It is in these ‘negative’ states of mind and body when more bad things happen and suddenly you feel like everything is going wrong. The way to get to the ‘positive’ place is not just to tell yourself everything will be wonderful, since maybe it will or maybe it won’t. The way is to get the rest you may need so that you’re not so frazzled, or get some medication for what ails you, or eat some healthy food because you might be hungry. It is to get yourself back to a healthy, strong and more normal you. This is when you can handle things better and not get overwhelmed by problems. Sometimes you do need to also talk yourself into being more confident or less worried so that your mind is also at it’s best place. It often helps to reach out for support as well. So get yourself to your positive place and it will yield positive results. Take the ‘me time’ you need to get yourself strong and stable before going forward. When you don’t and you keep going with a compromised mind and body, things often don’t have the best results. There is no shame in taking breaks and caring for yourself. In fact, it’s the only way you will be able to properly take care of everything else! Whether good or bad, change can be very challenging to handle for many people. I happen to be one of those many. This year my family has gone through so many changes and though some of these changes were blessings, it still caused stress. There is something to be said for stability. Though it might eventually cause people to feel stuck or bored, before that point it makes you feel secure and comfortable. This year, I started working after a decade of being a stay-at-home-mom; my husband changed jobs; we moved to a new home and new school district; and we had a death in the family. I won’t even mention the small changes. All this upheaval left me feeling stressed and anxious. I tend to like the comfort of familiarity. With these changes, I wasn’t sure how I would handle life the same way. I won’t know anyone in our new neighborhood and I’ll be at work so what will happen to the kids in an emergency? These kinds of scenarios plagued my thoughts. I wondered how I would handle the new responsibilities at a job I had never done before. I tried my best to remember that change can bring growth and happiness as well. It can help us overcome fears and learn new things. Though there is uncertainty and risk of failure, trying new things can bring positive growth. I guess life is about constant change. In fact, I notice that when I resist changing, things around me change and I have no control. I’m forced to accept it and find the good in it. We should appreciate our present and enjoy it while it lasts but know that change will come and there may be a positive outcome from that as well. Enjoy the present and be thankful for it but don’t be scared of the next thing. Even if you fail, you’ll get up and move on….or it might become something new that you love. This is all easier said than done for people like me but you have to start somewhere! So, parenting is supposed to get easier as the kids grow up right? Nope, I wouldn’t say so. We tell a new mom to sleep when the baby sleeps and people rally around to give the parents a much needed break. However, when the kids get a bit older and more self sufficient, people assume it has gotten easier for you. By the way, by ‘self-sufficient’ I only mean that they can walk and talk and wipe their own butts and feed themselves. I don’t mean that they will actually get the food themselves or bathe without nagging or do anything they need to some level of assistance. This is why it changes for a parent, from physically exhausting to mentally draining. Yet the mentally draining part can leave a parent exhausted. We also believe that since the kids are ‘self-reliant’, we should add more things to our plates and end up even more tired. In my case, I started working after being a stay-at-home-mom. Everyone said, oh now that the kids don’t need you, you can go back to work. Well, the kids still need a million things and have activities they need to go to. So, I am juggling a lot more and the only ball I can afford to drop is my ‘Me time’. I can’t rest when they are at school because I’m at work. Then I dash out to be a chauffeur, cook, tutor, referee, nurse, homemaker. There isn’t really any me-time for Mommy without guilt. When the kids were very young, I felt entitled to Me-time because I took care of the kids all day and deserved a break. Now, because others see your life as easier with older kids, we tend to see it that way too and don’t feel entitled to that break anymore. I used to have my mom watch the kids while I got a massage or went on a movie date. Now I cash in that babysitting time for my doctor’s appointments or when I have one too many things to juggle. 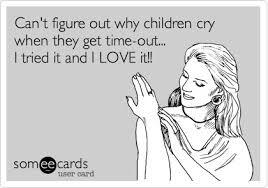 Then, I feel bad asking for more babysitting time and guilty for leaving the kids so I no longer make those pampering Me appointments. My husband and I have gone from romantic date nights to lunch dates on days when he works from home. At least we still try to have some couple-time but it’s much more rushed. Also, the kids now have such busy schedules of their own that you are always planning your life around what they need and where they have to be. Whereas, before we could put them in the stroller and roam around the mall for ourselves, now there isn’t time. They are busy with activities and then need to fit in homework and want to meet with their friends. So in essence, now we are in the stroller and being wheeled around by the kids’ agenda. Life is busy at every stage and parenting is challenging at every stage. It just evolves. I guess we just need to give ourselves credit for all we do and not feel so guilty for making some Me-time. One day soon I will take my own advice. 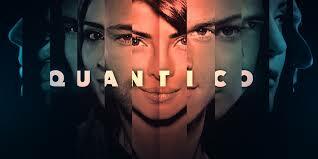 There are few shows for this fall that have been marketed and hyped as much as ABC’s ‘Quantico’. It premiered last night so I had to check it out. I was extra-keen to watch because I like the star Priyanka Chopra from her bollywood fame and I’m also a big fan of FBI and crime shows. I thought Priyanka did a good job so far. She provides the eye-candy and she did a respectable job with the American accent too. Though not perfect, it was much better than that of Sakina Jaffrey in House of Cards. The show itself has a number of characters who were barely introduced so there is potential for more interesting characters. I wasn’t so compelled by the romantic interest thus far, played by Jake McLaughlin. As for the show itself, the story line seems interesting. An act of terrorism and a mystery of who is behind it. There was a lot of flipping from present day to the past in telling the story that reminded me a lot of ‘How to Get Away with Murder’. I didn’t think Quantico did as good of a job with the transitions as HTGAWM but it was only one episode. I guess ABC thought that formula did well so why not try again. It was interesting enough for me to watch a few more episodes and then I will decide whether it’s a keeper or not. I suggest you do the same. 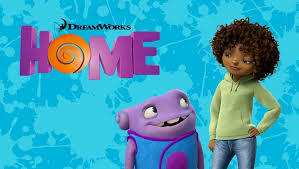 This weekend, we watched Dreamworks’ new animated film, Home. It was a cute movie with cute characters but nothing to write home about (pardon the pun). The main character, Oh, was a fun little alien played by Jim Parsons. For fans of Parsons (and Sheldon), he does not disappoint. His character is endearing and logical and speaks in a funny way. He’s basically the awkward guy with good intentions. The other main character is a feisty tween girl named Tip who has been separated from her mother by this alien invasion. Tip is played by Rihanna and her mother, by Jennifer Lopez. Tip is a decent character though not overly likable at first. The movie starts out a bit slow and disjointed but picks up in the second half. There are nice songs playing throughout, all Rihanna’s of course. Steve Martin voices the leader of the Boov aliens and plays a funny character who is best at running away. My kids enjoyed the movie and I thought it was decent. However, I was shocked that the theater was packed and our first choice of shows was actually sold out. This movie really lucked out that there isn’t much else out there and people seem to be itching to watch movies. There is no other reason that this movie should have brought in crowds like that. I would have been fine waiting for this one on DVD but like I said, my family was also eager to go to the theater and Home lucked out. The other thing that surprised me at the theater was the amount of inconsiderate people there. This doesn’t relate specifically to this movie but it didn’t help my viewing experience. There were people who brought babies with them. Just because it is a kids’ movie doesn’t mean bring a baby who is going to keep making noises the whole time. The other annoying thing was people who kept turning on their cell phone to look at it during the movie. These inconsiderate adults think that since they aren’t talking it is fine but the light from their device is very disruptive as well. I could understand someone looking discreetly one time in case of an emergency, but this was not the case. It seemed to be a bored parent who was taking out their phone over and over. It was like someone turning on a flashlight in the middle of the dark theater. I wish people would stop doing these things. Despite all this, I felt Home was an okay but not great movie!